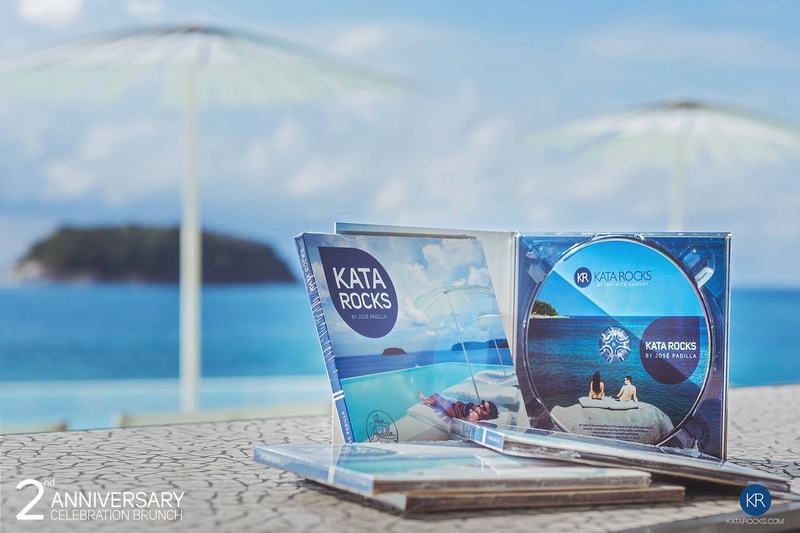 Home » Blog » Activities » José Padilla Launches New Kata Rocks CD during the Resort’s 2nd Anniversary! José Padilla Launches New Kata Rocks CD during the Resort’s 2nd Anniversary! DJ legend and prolific recording artist José Padilla returned to Kata Rocks on 28 November for the launch his new dedicated CD mix, ‘Kata Rocks by José Padilla’, just in time to celebrate the luxury resort’s second anniversary. The internationally acclaimed ‘Godfather of Chill’ was inspired during his first visit for the resort opening party two years ago to create the compilation. His musical style and the new CD are perfectly aligned with Kata Rocks’ chilled Mediterranean ambiance and luxury superyacht-influenced design. Each track was individually inspired to reflect various elements of Kata Rocks. They encapsulate the spirit and essence of the resort: Phuket’s best lounge bar featuring epic sunsets, cool modern vibes, eclectic crowd of hip guests, award-winning architecture and interior design, signature 35-metre infinity pool, lavish events, luxury lifestyle and most importantly the pleasure of embracing the very best life should offer. The CD is available in every Sky Villa for purchase and listening enjoyment of Kata Rocks guests. The very limited edition can also be purchased by contacting info@katarocks.com on a first come first serve basis, or by visiting iTunes. José Padilla was born in Barcelona and moved to Ibiza, Spain in 1975. He made his name after accepting a DJ position at Cafe del Mar in 1991, where in 1994 he compiled the first Cafe del Mar album for the React record label. The series has spun off several related compilations, as well as leading to the creation of the bar’s own label. José selected tracks for the first six albums, as well as the 20th Anniversary commemorative release.